PUERTO PRINCESA CATHEDRAL. This blue colored century old church stands proud in Barangay Liwanag. It used to be a small church in the Spanish era, but in 1961 it was reconstructed and turned into a cathedral. It was in 1872 when the first mass was celebrated here. PALAWAN WILDLIFE RESCUE AND CONSERVATION CENTER. This destination is not just a tourist attraction but also a research center for conservation of Palawan’s endangered species. You can find here crocodiles, birds, reptiles and other animals. Aside from crocodiles, there are different species of birds and wild animals. BAKER’S HILL. If you want instagram worthy pictures, then you should visit Baker’s Hill. It is actually a spacious theme park in Sta. Monica heights where life size statues, landscaped gardens, colorful flowers, lush greeneries and cute houses were to be enjoyed. And true to its name, freshly baked goodies to take home were on sale. My family’s favorite – the hopia! We also passed by Binuatan Creations, to let the kids experience some weaving! The store has been weaving mats, bags and other stuff for the last 13 years. They pride themselves in creating masterpieces using locally available “tikog” and “amumuting” grass. These grasses are harvested in nearby communities, dried and dyed depending on the color preference. SIDE STORY: While we were in baker's Hill, we befriended a family, tourists like us and agreed to meet later to go FireFly Watching. It will be more expensive if we rent a van, with just the four of us. That's about it as far as the City Tour is concerned. It's dinner time, so we went to Baywalk for some grilled goodies that super budget friendly! Later in the evening we went on a very much anticipated Firefly Watching. We rode a small boat, ushered in into the forest, and after a few minutes, it was a surreal experience when we witnessed thousands and thousands of fireflies. And because it was a clear night, we also enjoyed stargazing while riding the boat. It was MAGICAL! We also saw planktons! And yes they released their luciferins that made them glow! It was awesome! The next day... we were all eager for our 2nd day in Puerto Princesa. 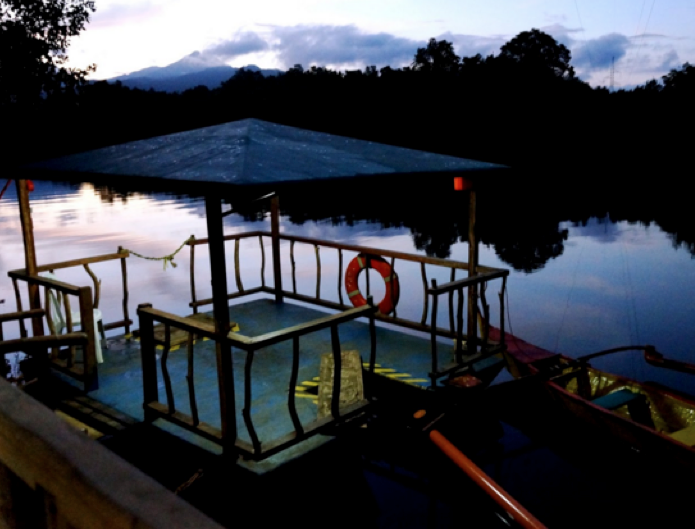 This time, we are off to the Puerto Princesa Subterranean River National Park, a UNESCO World Heritage Site and one of the New 7 Wonders of Nature. 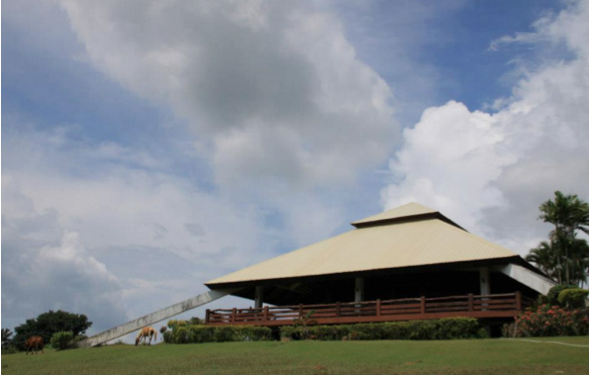 It is located in Sabang, approximate one and a half hours away from Puerto Princesa City. Before we reached Sabang... we passed by Elephant Cave! The river is 8.2km long and flows underground through natural rock formations such as caves stalactites and stalagmites. Only 4.3 km are easily traveled by tourists. To explore the remaining 3.9 km, tourists must secure a special permit. Again... there was another 30 minutes waiting time. There are lots of tourists by the time we reach the entrance of the Underground river. Photo ops again to forget my boredom! Most interesting, some of the rock formations look like objects and images such as a cacao fruit, mushroom and the holy family. Geologists and environmentalists discovered a 2nd floor to the river in 2010 that led them to believe that there are waterfalls inside the cave. Ugong Rock is a 75 foot karst limestone that stands like a guardian of the rice fields. The adventure started with a one hour spelunking. We were fascinated with the limestone formation, the steep ascent and descent of some of the terrain. But overall, it was just like walking through a man-made tunnel. either have to rappel or zipline. We chose the latter. Ugong Rock zipline is 1.3 km long, a palpitating 20 seconds ride. It is the first zipline in Palawan. And what’s interesting about it, it is not a straight line. You literally will fall down on the side of the cliff, before the zipline propels you to the other end. After an adrealine-filled second day, we had dinner at Kinabuch! Tamilok is a wood worm that thrives well in the Palawan rotting mangroves. It looks like a worm, but its really a mollusk, that tasted like an oyster. And yes, we ate it raw, we just dipped it into vinegar and straight to our mouths. Day 3 of our family adventure... consisted of the sun, sand and sea. Next stop, Cowrie Island... one of the islands in Honda Bay. It is named after the small to large sea snail called cowrie. The island has a number of cabanas, a pavillion and nipa huts, all overlooking the blue sea. Dinner was extra special... because finally we had a chance to dine at Ka Lui's! A must visit restaurant in Palawan. Before entering the place, you have to take off your shoes, the restaurant’s floor is made of wood, well polished and very clean. KaLui offers a wide variety of menu which depends of the fresh catch of the day. Everything on the menu are seafoods and vegetables which includes sashimi, tempura, shellfish soup, sinigang, baked mussel and more. I am extremely happy because they also serve lots of seaweed or lato. Even the comfort room is instagram worthy.. wow! Day 4 is a free day for the family. 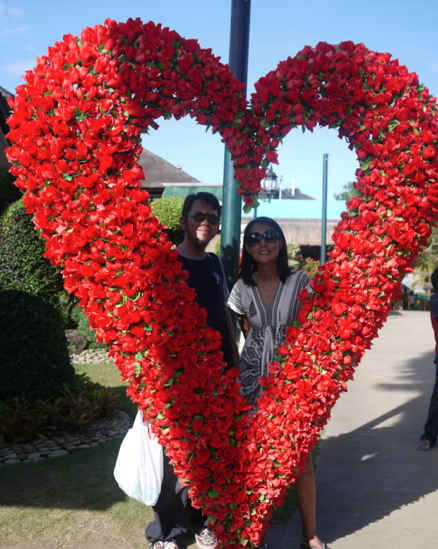 We just wanted to explore more the city, buy “pasalubong”, and maybe feast on some more Palawan specialties. We felt that the other beaches we wanted to go to are quite far, so we settled on what the city has to offer. We started the day by visiting the Special Battalion World War II Memorial Museum, which was just 10 minutes away from the airport. The museum was opened by the family of local hero Dr. Higinio Mendoza Sr., who was killed in 1944 at Canigaran beach. Some of the museum pieces that are interesting to see are: typewriter and stenography machine, which was used by Gen. Douglas McArthur in Manila, old vehicles used during WWII, rusting guns and ammunition, uniforms of American soldiers who fought with the guerillas, miniature war planes and old paper denominations used during the war. After our museum visit, we had lunch in McCoys where we enjoyed the biggest serving of pizza. Then we scouted for the best halo halo in the city. And we found it at Noki Noc’s. These two places are very near the museum and the airport. We visited the wet market to take home some crabs... my favorite! What I am really happy about, the Palawenos knew how to put what you bought in boxes that you could easily bring home. I swear, I reached Manila and the crabs that I bought were still alive. 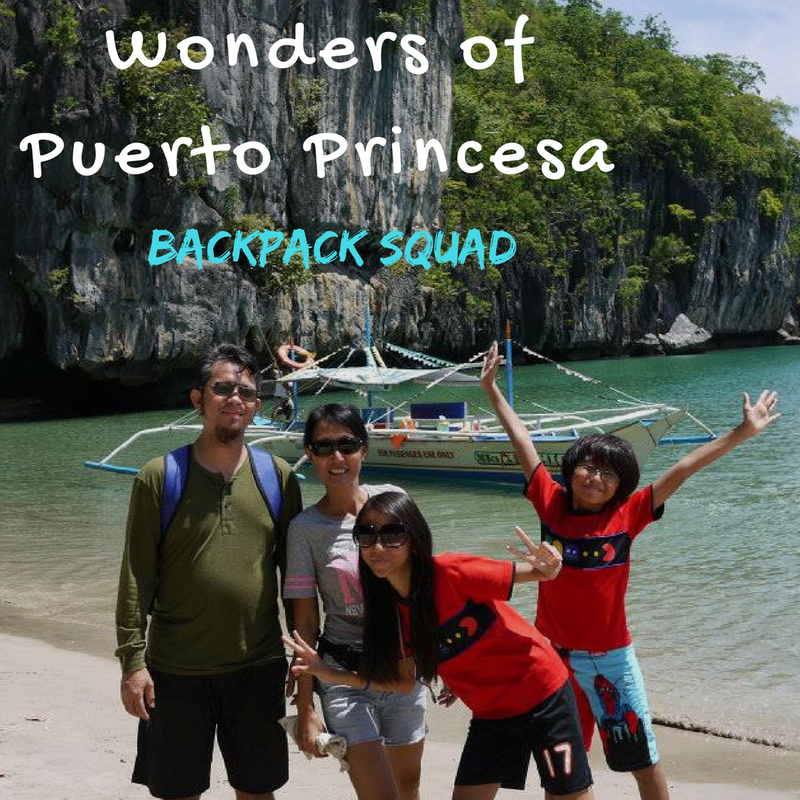 There is more to see in Puerto Princesa City. Given more time, we would have explored more of its pristine beaches in the outskirts. Or do some more spelunking adventures. It only goes to show that Palawan is truly a haven for the adventurous soul.